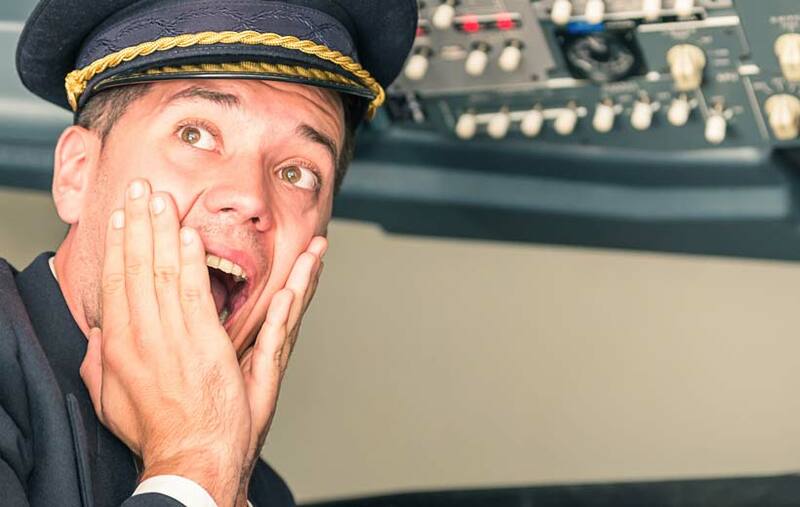 Well, you landed in this article because you want to create or improve your flight school marketing plan but you don't want to make the same mistakes. Things like spending money in traditional advertising with no results or promoting your discovery flights on GroupOn. Ohh by, GroupOn looks attractive in terms of traffic but in reality left you with a big gas and maintenance bill without any student enrolled in the school. I’m sure you don’t want to make those mistakes so let’s explore the top 3 reasons why your marketing plan doesn’t work. There is an old quote that said “A goal without a plan is a dream” This is the primary reason why all marketing activities in your flight school fail. First, you need to set a clear goal and have it written for your team to review it at any time. The goal help you to be accountable and allow you to measure your progress overtime. But before you create your goal you will need to have available your flight school benchmarks which can give you a sense of visit, leads and customer the company has been generating in the past. After having those metrics you will able to estimate how quickly you can grow. Now that you have your SMART goal in place it is time to create your plan. This marketing plan should be help your potential student to walk in the 3 steps of their buyer’s journey awareness, consideration, and decision stage. This is one of the common mistakes among flight schools confusing a marketing plan with a marketing tactic. Let me explain what is a tactic: A tactic is an activity to help you support your marketing plan for example social media, email marketing or event presentations. Those activities by themselves attract, convert and enrolled more students in your flight school. You must use tactics to help strangers, leads or potential students to get closer to the admission process. I know that it is important for your organization to enroll a student but pitching too early in the process without context will spoil the opportunity. Are you measuring your marketing efforts? It’s good you create events, promote your flight school website by email, social media and AdWords but if you don’t know how many new leads, opportunities and customer generate those activities how do you know what works and what’s not? How you will measure the return of investment per activity? Checking the results gotten from the actions taken can let you know really quick if the path you’re going on is good or if you need to make a change on the trajectory as soon as possible. This is a nice and useful fact you may know something about already: The average recruitment cycle for a commercial student pilot is 6 to 12 months. Flight training requires a substantial amount of money and in most cases this decision needs to involves parents or sponsors and, if the student is outside of the US, some requirements must be meet to ensure the admission in the flight school. Therefore, each opportunity that knocks your door today will be ready in 6 to 12 months. All these facts make critical the preparation you must have to nurture these opportunities in that period to ensure they get enrolled in your flight school.